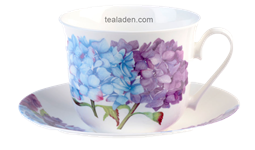 Colorful hydrangeas flowers almost burst off this bone china 6 cup teapot by Roy Kirkham. Dishwasher and microwave oven safe. 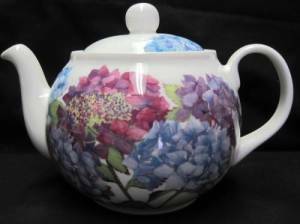 Colorful hydrangeas flowers almost burst off this bone china 6 cup teapot by Roy Kirkham.